Maybe I'm biased, being Indonesian and all, but I had to try Choctal because they had Kalimantan chocolate! That's an island in Indonesia, in case you didn't know. 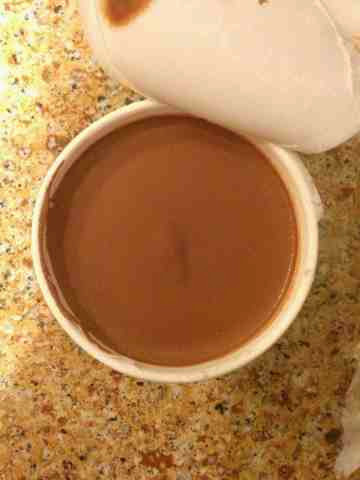 As you can see, even the shades are completely different, and the taste is very distinct. The Ghana chocolate ice cream is rich and creamy, the Kalimantan chocolate is dark and intense, and the Dominican chocolate had a lot of spices on the palate! They're all delicious, though - all of them dark, rich, and creamy - which one you'd like will depend on your tastes and mood! The vanilla ice creams were also amazing. Though I've always tended toward chocolate, their vanilla is worlds better than most, and again you can tell the distinctive notes of each origin. 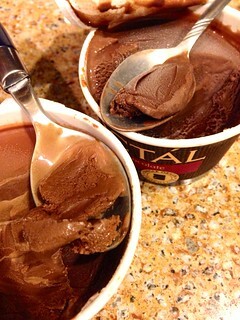 Even if I still can't decide which flavors I like best, these Choctal ice creams are my new obsession! 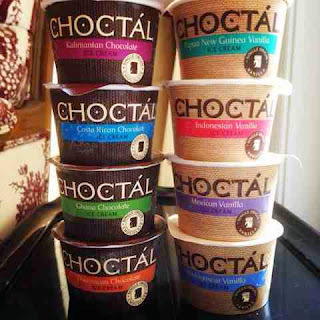 To find Choctal ice cream near you, use the locator on their website. Just a tip, Bristol Farms currently carries them. If it's not yet available in your area, you can also order them online, although the shipping costs quite a bit.